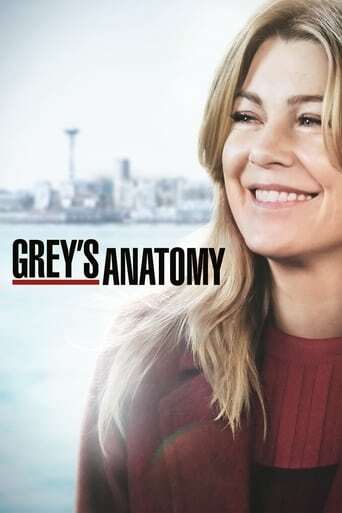 The fifth-year residents return for the first day of a year that will make or break their careers: Meredith faces the consequences of tampering with Derek's clinical trial and is terminated at the hospital; April tries to step up to the plate as Chief Resident in the wake of a giant sinkhole in the middle of Seattle; and Cristina and Owen are still at odds over their drastically different feelings for their unborn child. 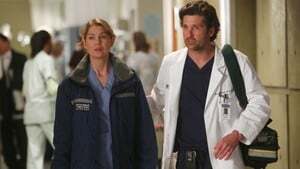 News of Meredith and Derek's unsteady relationship raises a red flag for Zola's adoption counselor; Alex quickly realizes that he has become the outcast of the group after ratting out Meredith; and Cristina makes a tough decision regarding her unexpected pregnancy. Also, Chief Webber brings Henry in for a last minute surgery, alarming Teddy. This is an historic episode that finally crosses a long-standing barrier. 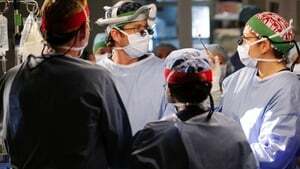 The chief makes a decision that shocks everyone at Seattle Grace; Owen and Cristina attempt to find normalcy; April struggles in her new role; the 5th-year residents receive their first solo surgery assignments. Episode 4 - What is it About Men? A stampede at a comic book convention leads to an influx of colorful characters in the ER; Mark continues to make life difficult for Jackson; Ben returns and realizes Bailey has moved on. 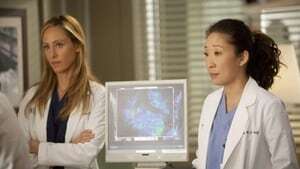 After being blackballed by most of the surgeons, Meredith uses Lexie to spark Derek's interest in her patient's rare brain tumor case and, in secret, gives guidance to April with Bailey's clinical trial; Callie's wish for Arizona and Mark to form a friendship comes to fruition and she realizes it's more irritating than helpful; Alex and Teddy research alternative surgeries for a very superficial patient; and Callie and Cristina struggle with a very difficult spinal surgery. In the spirit of Valentine's Day, Meredith and Derek try to have a night to themselves when Lexie offers to watch Zola; Callie hands babysitting duties over to Mark so that she can surprise Arizona with a romantic evening; and Ben proves to Bailey that he knows her better than she thinks. Meanwhile, the ER fills with romantics, including a 10-year-old girl who has an allergic reaction to chocolates from her valentine and a man who is hit by a car while chasing down his frustrated girlfriend. 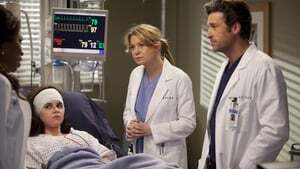 As Adele's condition continues to deteriorate, Richard considers altering their living situation; an explosion at a local coffee shop results in a busy day in the ER for the doctors; Callie takes Meredith under her wing by helping her study for her boards; Lexie joins Arizona and Alex in peds, as they continue to care for intern Morgan's premature son; and when Jackson snaps at a patient, Mark encourages him to find ways to relieve his stress. Meanwhile, Cristina lets her suspicions get the best of her. Derek encourages a hesitant Meredith to work with him again in neurology; Jackson's mother, Catherine Avery, returns to Seattle Grace with a urology fellow and develops an interest in Richard; and Cristina becomes increasingly suspicious of Owen's every move. Meanwhile, Alex tries to deny the fact that Morgan may be falling for him. 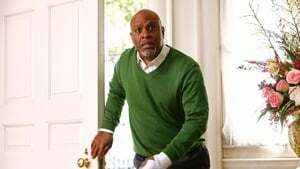 A lion breaks loose in Seattle, leaving a couple's lives and relationship at risk; Lexie overhears Mark's discussion about moving in with Julia; Teddy begins to take steps towards coming to terms with Henry's death; Callie grills Arizona on her past lovers; and Alex requests to be taken off Morgan's preemie case when she becomes too dependent on him. 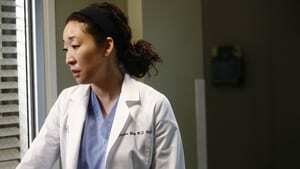 Meanwhile, Meredith tries to be a support for Cristina as the tension between her and Owen hits a boiling point. 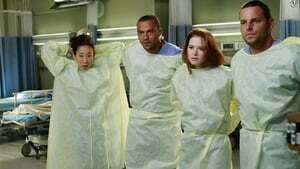 A devastated Cristina presses Owen to confess the intimate details of his affair; Mark takes his new authority very seriously when he steps in as chief for the day and butts heads with Richard over a patient's liver transplant; and Callie deems Meredith ready for the boards, while the rest of the residents continue to stress about the exam. Meanwhile, Callie, Arizona and Bailey plan a much needed ladies night for Teddy. 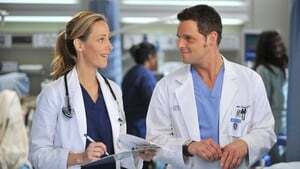 The doctors work on a Jane Doe, who turns out to be the subject of a case that gained national interest; Cristina proves to be the highest in demand as the residents begin their interviews for post-residency positions at prospective hospitals; and Richard is faced with an unsettling realization when he visits Adele at Rose Ridge. 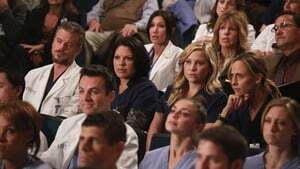 The residents determine their future as they make their final decisions regarding post residency positions; Mark admits to Derek that he is torn between his love for Lexie and the fact that Julia can give him everything he's ever wanted; Ben plans something extra special for Bailey, but she is preoccupied with her work; and Arizona encourages her childhood friend, Nick, to have surgery. Meanwhile a couple on their third honeymoon come to the hospital complaining of mysterious symptoms.